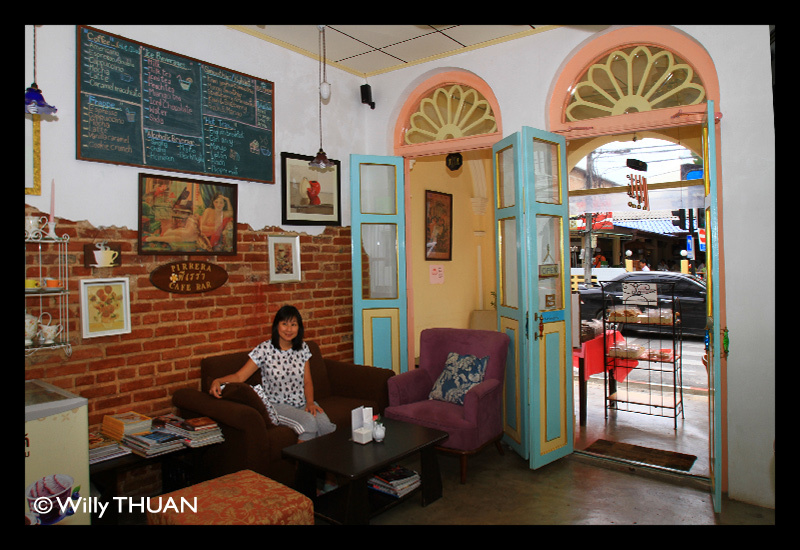 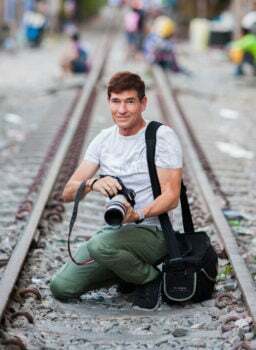 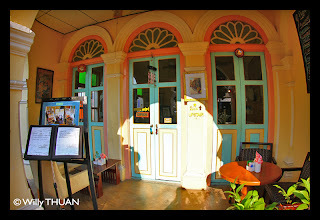 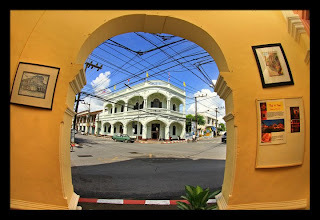 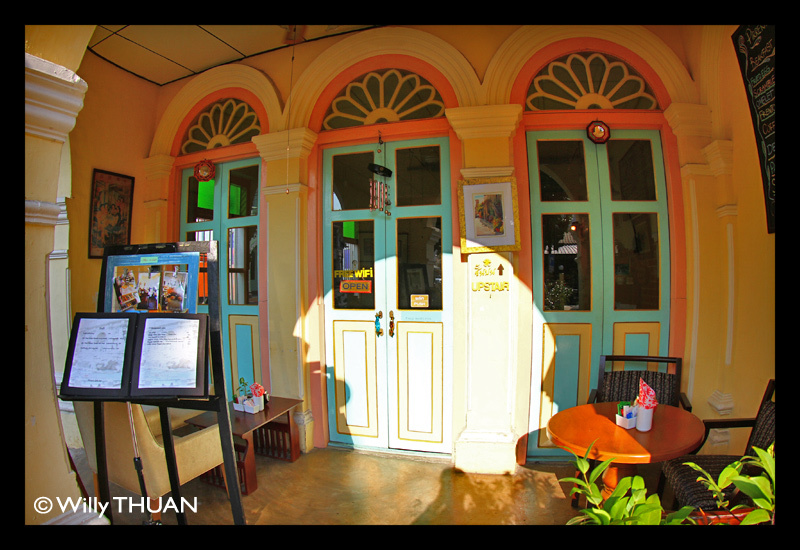 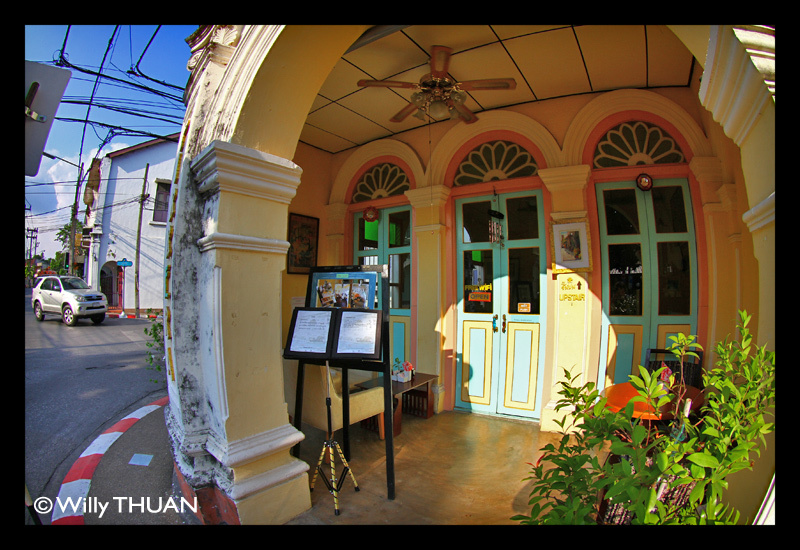 Need a little break while exploring the historical part of Phuket town? 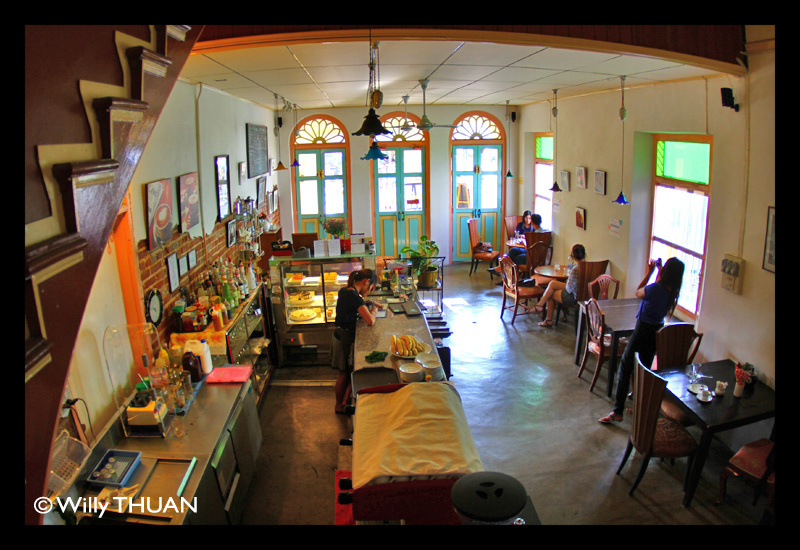 Look no further, Pirrera Café is the perfect spot, serving great cakes and traditional Phuket coffee in a charming historical shophouse. Located just at the corner of Yaowarat and Dibuk roads, opposite ‘Loktien‘ an old and famous restaurant, and not far from Thai Hua Museum, Pirrera cafe is a beautiful old looking house. 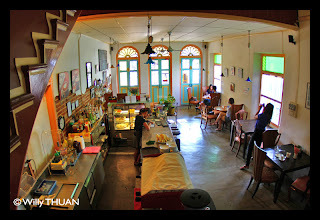 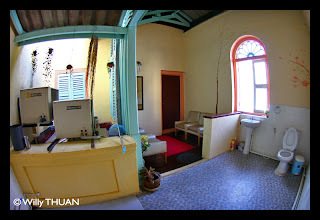 This building was originally the former headquarter of the Kian Nguan Mining Company and has kept its soul quite intact. The coffee shop, painted with pastel colors, offers a cozy seating on the ground floor, but also a large but always empty room at the second floor. 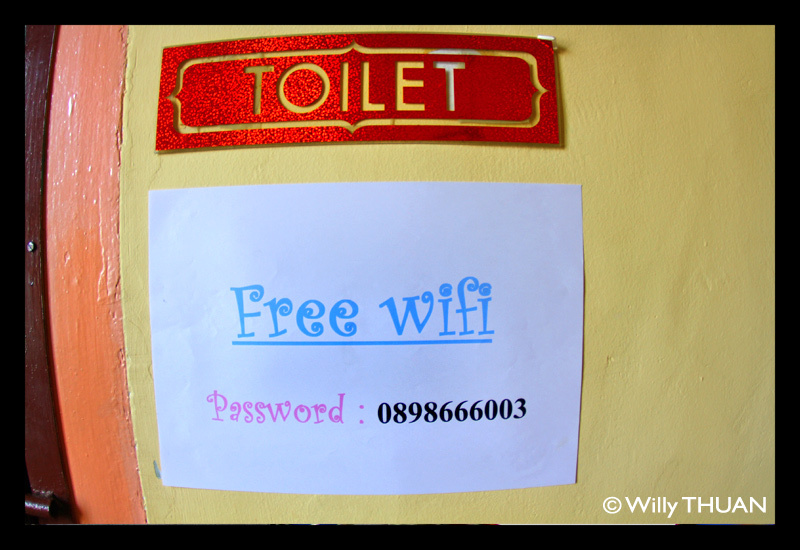 Interesting fact is the unusually large bathroom with wi-fi (see photo). 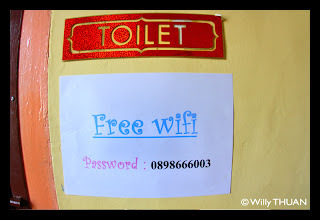 In fact you can access the wi-fi from anywhere in the shop, but the sign says so. The bathroom is so large with a set of armchairs, you could spend a good deal of time in it. 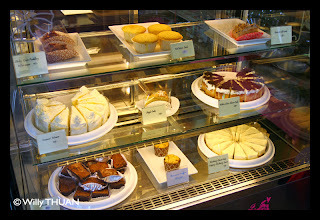 The staff at Pirrera Cafe is always very pleasant and cakes are just great, which is not a surprise as the owner was trained at the famous Cordon Bleu Cooking School at the Dusit Thani in Bangkok.The music selection is cool and goes well with the atmosphere, but I found it a bit loud. 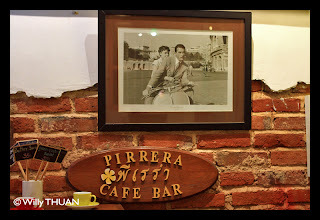 Anyway, Pirrera Café is exactly what you need to refill your batteries with a nice treat in an air conditioned room before continuing your discovery tour!